If it wasn’t for either of my parents, I wouldn’t like classic films today. As I have said on Comet numerous times, my parents rolled out films such as “Yankee Doodle Dandy” or “Seven Brides for Seven Brothers” when my sisters and I were toddlers. This classic film encouragement is partially because they grew up with a love for the classics themselves. For Father’s Day, I decided to do a brief Question and Answer session with Dad, Bill Pickens, about classic films. Me: Who are your favorite actors and actresses? My favorite actresses are Maureen O’Hara (Dad has always had the hots for Maureen) and Katharine Hepburn. Me: What are your favorite movies? Dad: Lawrence of Arabia, The King and I, Twelve O’Clock High, Lion in Winter, The Longest Day, The King and I. Dad: My older sister Katie and I went to see movies every Saturday afternoon, because we lived on a military base and it was only 25 cents. We would see everything that came out from Disney movies to westerns. I remember one time, some GI was trying to get fresh with Katie and I kicked him in the leg. I was her bodyguard at the movies. I don’t remember what movie it was but we lived in Ft. Lewis in Washington. Me: Why do you like older movies? Dad: They are classy and have interesting story lines. The movies didn’t have to have all the action, like you do today, to tell a good story. Me: What is the worst movie I have had you watch? Dad: I can’t think of any really bad ones. 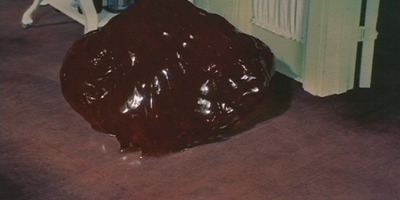 “The Blob” was pretty bad though, because it was so campy. My Dad has been the only man in a family of all girls for the past 35 years. From putting together Barbie houses, helping us with math homework, nailing taps on the bottoms of dancing shoes or fixing our cars, Dad has been supportive and a good sport. He’s been supportive of my film interest and, though he said he couldn’t think of any bad movies, has sat through some terrible ones, all for “the cause” of my movie love. Happy Father’s Day, to my Dad who supports my interest and who I have even help expand on his. 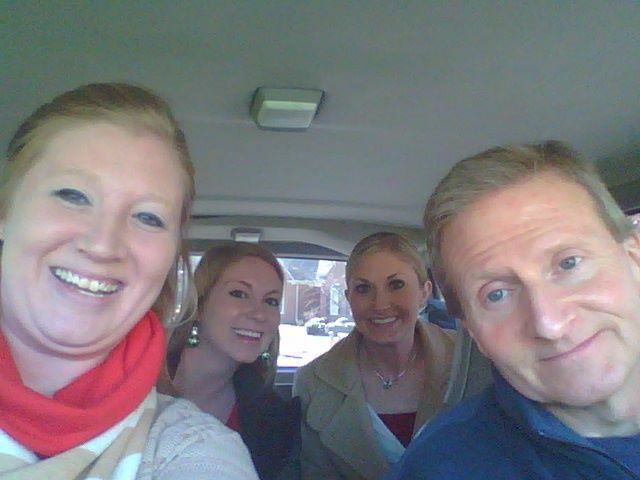 Dad in a selfie with his three daughters. Comet is back left. This entry was posted in Holidays and tagged Father's Day by Jnpickens. Bookmark the permalink. I love Jumbo, but then it could be because of Stephen Boyd. That pic is so cute! 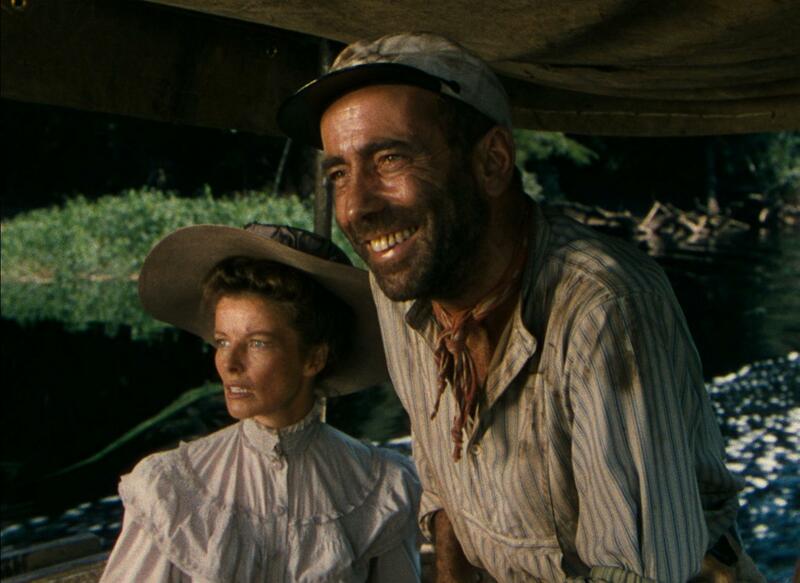 Your Dad must have been so excited that you got to see Maureen O’Hara in person. This is a fabulous post. I love that you interviewed your dad.